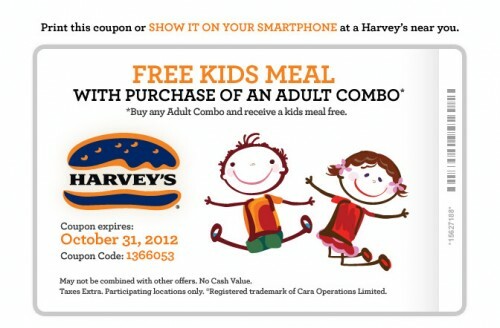 Until October 31st 2012, get a free kid’s meal with the purchase of an adult combo from Harvey’s Canada with this printable coupon. Or Scan the QR code to send the coupon to your smart phone. Click here for the coupon!